It feels nice to hear about new stuff being introduced in the world almost every day. Every day you hear about something unique, innovative and something that makes your life easier in some way. The good thing is that we have internet and so the news spreads within seconds and it does not matter which part of the world something has been invented in, you will get to know about it within seconds. If we look at the modern technological improvements we will realize that communication is mainly our point of focus. In one way or another, our improvements are focused on our communication. One of the biggest conveniences we have today in our lives is of transferring money from one person to another. Giving cash to someone hand to hand was a thing of the past. It was not safe and not always practical too. Then banks came along with some great ways to transfer money from one place to another but those methods were slow and hard to understand for most laymen. Not to mention, people had to have their own bank accounts in order to use those methods. 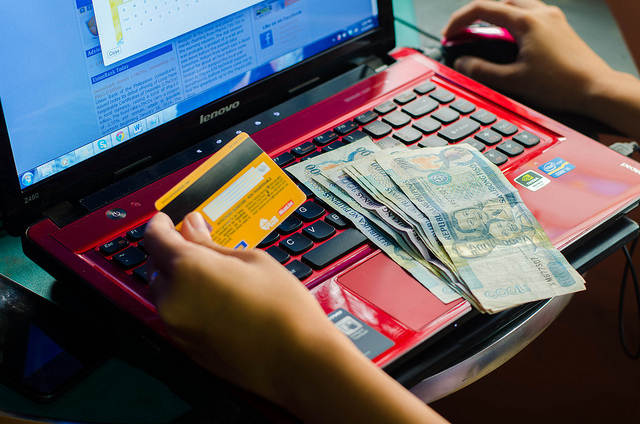 Today, money transfer is in a completely different shape and form. Why Do People Need Money Transfer? As mentioned earlier, you won’t need to give someone’s money in their hands every time. At times the people who you have to give the money are located far from you. In this scenario you need a third party service that would carry your money from you to the person you want to pay. Trades done across countries, people working for their families in foreign countries, people looking to send money to their loved ones for buying gifts etc. are some of the occasions when money needs to be transferred from one person to another person or one business to another business. Of course, when there are third parties involved they charge you for their services. This had been happening since the banks had started to allow people to transfer money from one place to another. However, people were always looking for some way to transfer money with more ease and without any middle person involved. It is because the service charges can sometimes be very overwhelming. Oftentimes the service charges would be some percentage of the money you are transferring and that’s not a good sight when every penny you earn is important for you. One of the best methods available to people for quite some time is wire transfer. Wire transfer is a name given to transfer of funds from one person to another electronically. Banks were the major players in this type of transfer a few years ago but then other entities stepped in. It was possible for you to transfer electronic money in the beginning. Things changed with time and then people were able to send cash to their loved ones too. With banks the parties at both ends needed to have bank accounts for them to send and receive money. The new services introduced a better and easier way of wire transfer. They allowed money to be transferred in the form of cash and collected money over the counter without the persons requiring any account. These services were cheaper than banks but they could still charge as much as they wanted because they were the better ones and there was no tough competition for them. However, what goes up has got to fall – this is an old saying but holds true for almost anything in the world that has gone up once. You have to make sure that you choose a service that offers currency transfer with better exchange rates. The information available on Large Money Transfer to Australia Guide is very interesting in this regard. The more internet reached into the corners of the world the easier it made things for people. Internet banking was introduced to people and was readily accepted. Banks introduced online bank accounts through which people could transfer money to each other while sitting in their bedrooms. All they needed to do was log in to their accounts from bank’s online portal and make transactions. Not only were they able to transfer funds to other accounts but also pay bills from their accounts. This is still one of the best methods of transferring funds but requires both parties to have bank accounts. The method of transferring money through online bank accounts was good for transferring money within countries. It was still not possible for people to transfer money from one country to another country with this method. Even if there were any possible window openings to perform international transfers, the rates were so high for these services that most people held back from conducting such transactions. Then came third parties in the online world as well. PayPal is the most mentionable name here. PayPal redefined the transfer of funds using the internet and became a pioneer of internet fund transfers. PayPal was not a bank but rather a third party service that used various banks and financial institutions to form its network. It allowed people to open accounts with it. People could go to their website, create an account and then transfer funds online, pay for products and also their bills. If they wished to transfer funds to someone located in another country they just had to transfer funds into their PayPal account which meant the other party needed a PayPal account too. The costs were really low and level of security was high so people readily accepted this method of money transfer. Mobile networks also jumped in the race and made it possible for people to transfer funds with ease and without the need of a bank account. People would pay cash at the franchises authorized by their mobile networks and the other person would receive it from another franchise at his/her location. An improved form of this type of transfer is smartphone wallet. Google and Apple are working and competing in this realm. Wallet allows people to store literally the information of all of their financial accounts and transfer funds, make payments and pay bills on the go using their smartphones.